The Women's Institute, or WI as it is more often known, was founded in 1915. Miss Mary Simpson MBE joined the movement and became the Midland Area federation organiser in 1920 at the invitation of Lady Gertrude Denman GBE (first Chairman of the National Federation of Women's Institutes 1917-46), who had previously witnessed her organisational skills in the Land Army. She was the founding president of the Chelveston WI in 1921 and the meetings were held in the coach house of Church House. In 1937 the WI ran a successful campaign to have the first lady Cllrs elected to the Parish Council. Following Mary Simpson's death in 1947, the WI rented a room in a cottage, which they decorated with portraits of Miss Simpson and Lady Denman, before eventually moving to the Village Institute (now demolished). At one stage the branch had declined to just 13 members and it was suggested at the County Federation committee that the branch be closed. The reply came back from Lady Denman that "Miss Simpson's WI should never be dissolved!" The present day WI branch meets in the Village Hall on the second Wednesday of the month. The current president is Mrs Raine Earnshaw. 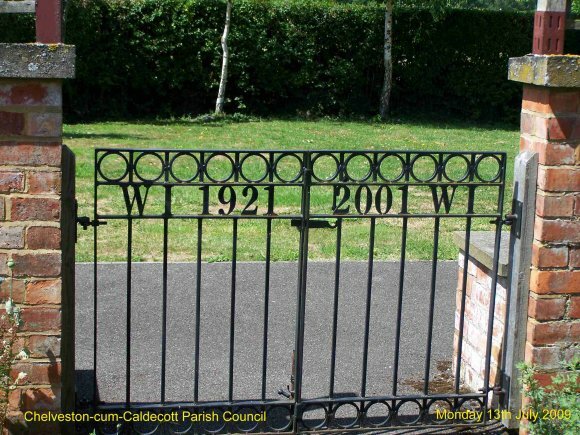 In addition to the regular monthly meetings, the WI was responsible for the conversion of the waste ground behind the Village Hall into the Millennium Garden, to celebrate 80 years of the branch, with a grant from the Cory Environmental Trust. During the dedication service for the 305th Bomb Group war memorial in 2007, the WI provided lunch for the visiting American veterans and their families. 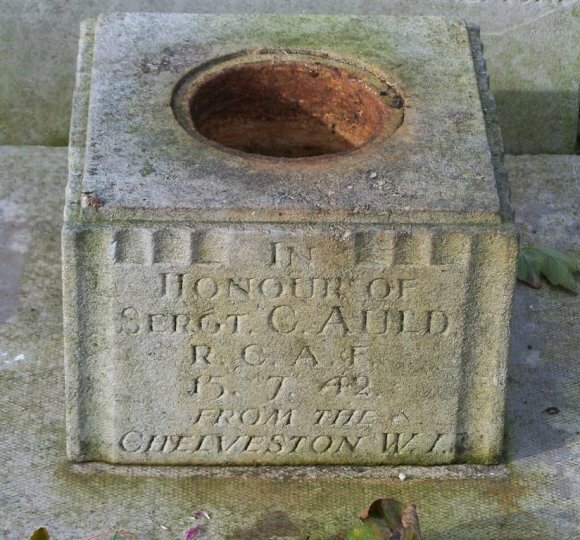 The WI also provided the flower holder for the grave of Flt Sgt C.W.Auld.